The holiday season is just around the corner, and if you’re in a relationship, you may have a daunting social occasion on your calendar: meeting your partner’s parents. If your significant other decides to bring you home for the holidays, what to wear can seem like the most intimidating part of a relaxing vacation—especially when it comes to making a first impression. Don’t fret; we gathered insight from a group of opinionated parents for the best advice on outfit dos and don’ts. 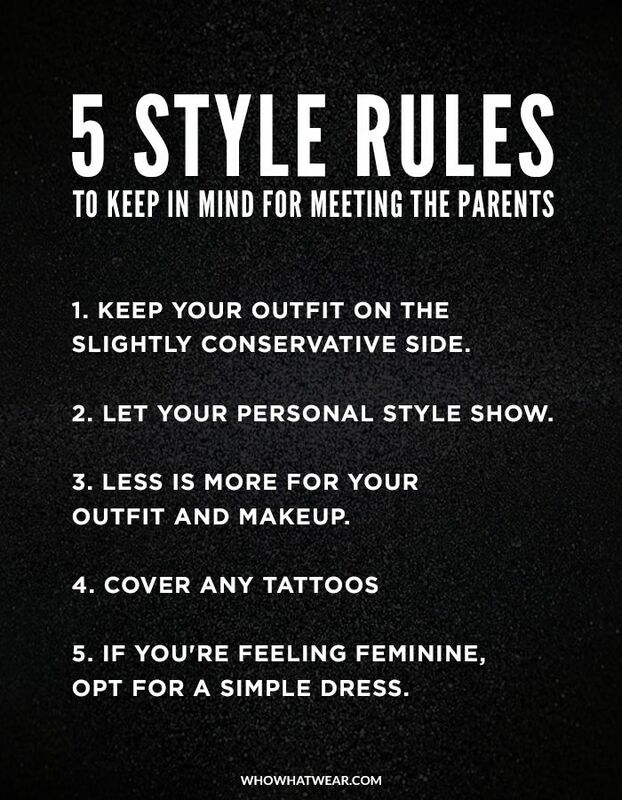 Scroll down to see top five style rules the parents mentioned (as well as their quotes in full), and get inspired and shop for the special occasion. What would you add or take away from the top 5 tips for meeting the parents? Let us know in the comments below!